Draft: 2008, Baltimore Orioles, 43rd rd. Selected by the Orioles in the 43rd round of the 2008 June Draft…attended the Naval Academy, majoring in quantitative economics… withdrew from the academy after signing-and before making a military commitment on the first day of his junior year…was the second from the Naval Academy to make the majors, one month after Cardinals reliever Mitch Harris. Pitched in the majors for the Brewers, Indians, Angels, Blue Jays and Twins, becoming the first player in major league history to pitch for five different teams in one season…went 1-1 with a 5.29 ERA (47.2-IP, 28-ER) in 44 apps between the five teams…according to FanGraphs, batters swung and missed at 13.2 pct. of his pitches-2.5 pct. higher than the major league average…following the season, was claimed off waivers by the Rays on Nov 1, designated for assignment on Nov 20, claimed off waivers by the Blue Jays on Nov 26, designated for assignment on Dec 30, traded to the Rays in exchange for cash considerations on Jan 4, designated for assignment on Jan 18 and outrighted to the minor leagues on Jan 24. Split the season between Class-A Inland Empire, Double-A Arkansas, Triple-A Salt Lake, and the Angels. Began the season on the DL after being sidelined with right elbow inflammation from March 30-April 11. Made his 2014 Angels debut on April 12, allowing two earned runs on one hit in 0.1 inning vs. New York (NL) and was optionedto Triple-A Salt Lake the next day. Voided optional assignment to Salt Lake and was placed on the 15-day disabled list retroactive to April 13 on April 15 with rights/c joint irritation. Spent the majority of the season with Salt Lake, pitching to a 3-2 record with a 5.33 ERA (25.1IP, 15ER) and three saves in 27 games. Pitched to a 1.93 ERA (4.2IP, ER) over six outings from June 2-13 before being recalled to the Angels on June 15. Was optioned back to Salt Lake on June 20. Made two appearances with the AZL Angels between two stints with Triple-A Salt Lake from June 20-end of the season. Acquired by the Angels from Tampa Bay on March 27 in exchange for RHP Steve Geltz…Made Angels debut April 9 vs.Oakland…Completed his rookie campaign with a 6-1 record, 2.86 ERA (72.1IP, 23ER), team-best 20 holds, two saves, and 65 strikeouts…Became the first Angels rookie reliever with six wins and two saves in a season since Francisco Rodriguez in 2003… Appeared in a club-leading 75 games in 2013, breaking Bill Kelso's Angels rookie record for games pitched in a season set in1967 (69 games)…His 75 appearances ranked fifth in the AL and were third-most all-time in Angels history…Only Scot Shields (78 games, 2005) and Francisco Rodriguez (76 games, 2008) appeared in more games in a single season for the Halos…First rookie in AL history to pitch 74 or more games and allow three or fewer home runs…Among AL rookies, ranked second in games, tied for fifth in wins, and tied for third in saves and ranked fifth among AL rookie relievers in strikeouts…Tossed 17 straightscoreless outings to finish the 2013 season…In the final 26 outings (since August 2), compiled a 2-0 record with two saves, 10 holds, and a 0.41 ERA (22.0IP, ER). Made five relief appearances for Tampa Bay across two stints with the Rays…Recalled from Triple-A Durham on April 14 and made his first appearance of the season later that night at Boston…Was optioned to Durham the following day…Following the conclusion of the Minor League season, was recalled by the Rays on September 5...Allowed two earned runs in his first Septemberappearance, but had three straight scoreless outings to conclude the regular season. Split the season between Class-A Frederick (14G/13GS), Double-A Bowie (12GS) and Triple-A Norfolk 1G...Went 8-3 with a 2.14 ERA (96.2IP, 23ER) and 80 strikeouts for the Keys...Named Carolina League Player of the Week, June 27-July 4...Struck out season-high 10, May 25 vs. Wilmington...Tossed three-hit, complete game shutout, June 27 vs. Wilmington (6K)...Had nine Quality Starts for Frederick, including each of his final six turns...Posted a 0.92 ERA (48.2IP, 5ER) in those starts, lowering season ERA from 3.38 to 2.14...Was 5-1 with a 1.58 ERA (51.1IP, 9ER) and 49K in seven home starts for Frederick...Made 12 starts for the Baysox, going 3-5 with a 5.20 ERA...Earned the win with a 10K complete game vs. Richmond, July 14...Went 3-1 with a 3.60 ERA (35.0IP, 14ER) in six home starts for Bowie. Finished second on the Keys in games started (21) and innings pitched (128.0)...Struck out a career-high 11 battersAugust 13 against Winston-Salem. Tied for the Shorebirds lead in wins (8)...Finished second on the club in strikeouts (104)...Allowed two earned runs or lessin eight of his first ten starts of the season. Put up a 0.87 ERA after being called up to Aberdeen...Had a career high five strikeouts August 27 against Vermont. 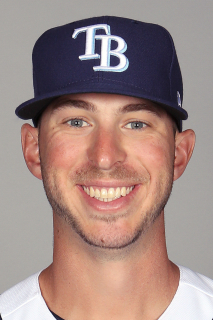 January 24, 2019 Tampa Bay Rays sent RHP Oliver Drake outright to Durham Bulls. January 18, 2019 Tampa Bay Rays designated Oliver Drake for assignment. January 4, 2019 Toronto Blue Jays traded RHP Oliver Drake to Tampa Bay Rays for cash. December 30, 2018 Toronto Blue Jays designated RHP Oliver Drake for assignment. November 26, 2018 Toronto Blue Jays claimed RHP Oliver Drake off waivers from Tampa Bay Rays. November 20, 2018 Tampa Bay Rays designated RHP Oliver Drake for assignment. November 1, 2018 Tampa Bay Rays claimed RHP Oliver Drake off waivers from Minnesota Twins. August 4, 2018 Minnesota Twins activated RHP Oliver Drake. August 3, 2018 Minnesota Twins claimed RHP Oliver Drake off waivers from Toronto Blue Jays. July 30, 2018 Toronto Blue Jays designated RHP Oliver Drake for assignment. July 26, 2018 Toronto Blue Jays claimed RHP Oliver Drake off waivers from Los Angeles Angels. July 23, 2018 Los Angeles Angels designated RHP Oliver Drake for assignment. July 6, 2018 Los Angeles Angels selected the contract of RHP Oliver Drake from Salt Lake Bees. June 19, 2018 Los Angeles Angels sent RHP Oliver Drake outright to Salt Lake Bees. June 16, 2018 Los Angeles Angels designated RHP Oliver Drake for assignment. June 1, 2018 Los Angeles Angels activated RHP Oliver Drake. May 31, 2018 Los Angeles Angels claimed RHP Oliver Drake off waivers from Cleveland Indians. May 26, 2018 Cleveland Indians designated RHP Oliver Drake for assignment. May 8, 2018 Cleveland Indians activated RHP Oliver Drake. May 5, 2018 Milwaukee Brewers traded RHP Oliver Drake to Cleveland Indians for cash. May 2, 2018 Milwaukee Brewers designated RHP Oliver Drake for assignment. April 14, 2017 Baltimore Orioles traded RHP Oliver Drake to Milwaukee Brewers for cash. April 13, 2017 Baltimore Orioles designated RHP Oliver Drake for assignment. October 5, 2016 Baltimore Orioles activated RHP Oliver Drake. October 4, 2016 Baltimore Orioles reassigned RHP Oliver Drake to the minor leagues. August 28, 2016 Baltimore Orioles recalled RHP Oliver Drake from Norfolk Tides. June 30, 2016 Baltimore Orioles optioned RHP Oliver Drake to Norfolk Tides. June 21, 2016 Baltimore Orioles recalled Oliver Drake from Norfolk Tides. March 31, 2016 Baltimore Orioles optioned RHP Oliver Drake to Norfolk Tides. September 15, 2015 Baltimore Orioles recalled Oliver Drake from Norfolk Tides. September 8, 2015 Baltimore Orioles optioned RHP Oliver Drake to Norfolk Tides. September 1, 2015 Baltimore Orioles recalled Oliver Drake from Norfolk Tides. July 24, 2015 Norfolk Tides activated RHP Oliver Drake from the 7-day disabled list. July 9, 2015 Norfolk Tides placed RHP Oliver Drake on the 7-day disabled list retroactive to July 7, 2015. June 24, 2015 Baltimore Orioles optioned RHP Oliver Drake to Norfolk Tides. June 21, 2015 Baltimore Orioles recalled Oliver Drake from Norfolk Tides. June 3, 2015 Baltimore Orioles optioned RHP Oliver Drake to Norfolk Tides. May 23, 2015 Baltimore Orioles recalled Oliver Drake from Norfolk Tides. March 9, 2015 Baltimore Orioles optioned RHP Oliver Drake to Norfolk Tides. November 18, 2014 Baltimore Orioles signed free agent Oliver Drake. October 17, 2014 RHP Oliver Drake assigned to Aguilas Cibaenas. March 3, 2014 RHP Oliver Drake assigned to Baltimore Orioles. June 11, 2013 Bowie Baysox activated RHP Oliver Drake from the 7-day disabled list. April 4, 2013 RHP Oliver Drake assigned to Bowie Baysox from Norfolk Tides. November 20, 2012 Baltimore Orioles sent Oliver Drake outright to Norfolk Tides. November 2, 2012 Oliver Drake roster status changed by Baltimore Orioles. September 29, 2012 Baltimore Orioles recalled Oliver Drake from Bowie Baysox. September 29, 2012 Baltimore Orioles placed RHP Oliver Drake on the 60-day disabled list. Right shoulder tendinitis. September 28, 2012 Oliver Drake roster status changed by Baltimore Orioles. June 3, 2012 Bowie Baysox placed RHP Oliver Drake on the 7-day disabled list. May 15, 2012 Bowie Baysox activated RHP Oliver Drake from the 7-day disabled list. April 5, 2012 Bowie Baysox placed RHP Oliver Drake on the 7-day disabled list. March 15, 2012 Baltimore Orioles optioned RHP Oliver Drake to Bowie Baysox. November 18, 2011 Baltimore Orioles selected the contract of Oliver Drake from Bowie Baysox. July 14, 2011 Oliver Drake assigned to Bowie Baysox from Frederick Keys. June 24, 2011 Oliver Drake assigned to Frederick Keys from Norfolk Tides. June 20, 2011 Oliver Drake assigned to Norfolk Tides from Frederick Keys. April 28, 2011 Oliver Drake assigned to Frederick Keys from Bowie Baysox. April 15, 2011 Oliver Drake assigned to Bowie Baysox from Frederick Keys. August 31, 2010 Oliver Drake assigned to Scottsdale Scorpions. May 11, 2010 Oliver Drake roster status changed by Frederick Keys. April 8, 2010 RHP Oliver Drake assigned to Frederick Keys from Delmarva Shorebirds. June 19, 2009 Oliver Drake assigned to Delmarva Shorebirds from Aberdeen IronBirds. June 17, 2009 Oliver Drake assigned to Aberdeen IronBirds from Delmarva Shorebirds. April 13, 2009 Oliver Drake assigned to Delmarva Shorebirds from Aberdeen IronBirds.